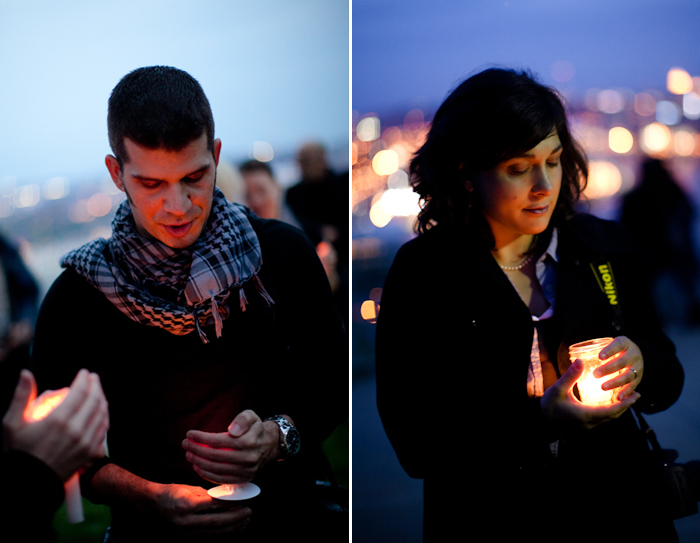 The following images were captured last night at a small gathering of photographers to remember Chris Hondros. 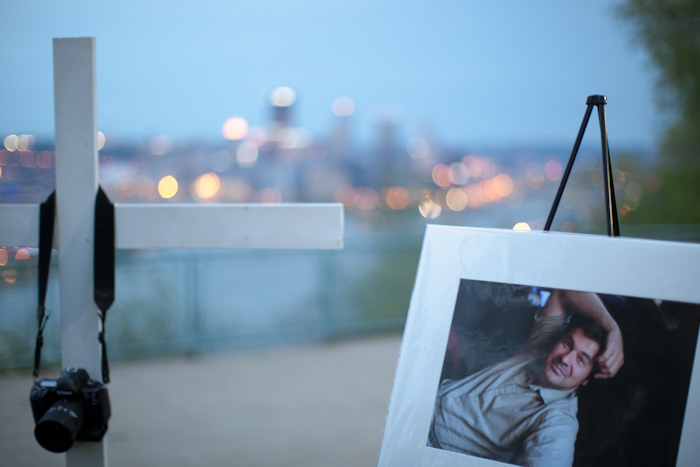 Chris Hondros was an extraordinary person whose life was ended in Libya on Wednesday April 20th. He was killed by RPG fire while covering Libyan rebels in a struggle against Gaddafi’s army. Chris was engaged and to be married on August 6th and our prayers go out to his fiance’. 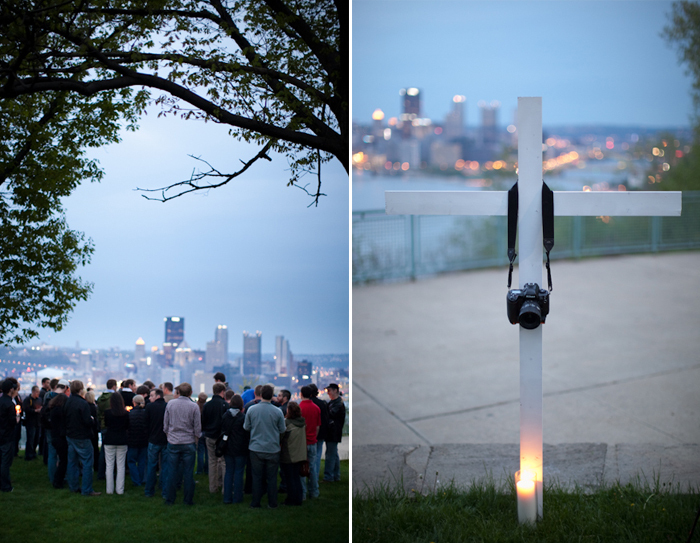 For a brief period of time, Chris lived in Pittsburgh and influenced many photographers here. After 9/11/2001, he began a career, with Getty Photo agency in New York City, covering war conflicts around the world. Please take a minute to check out his work. My good friends, Justin Merriman and Jen Safron keep their candles lit and reflect on their close relationship to Chris. When I heard Chris had been killed, I checked his Facebook page and began reading all the posts on his wall. It made me think back to the time I met Chris after attended a special viewing of his work in 2009. The show called, “War to Bach.” featured a live violinist playing Bach while Chris clicked through thousands of projected images from the war in Iraq. It was extremely moving and after the show, inJeff Swensen’s studio, a few of us hung out and I got a chance to chat with Chris. Jeff was taking some fun photos of people in a vintage wheel chair, I caught this shot of Chris between the fun ones. Renee Rosensteel - Thank you, Joey. Beautiful as always, even at that poignant time. admin - Love you Renee! admin - Thank you Jen! Because of you and Renee, I got to meet Chris!